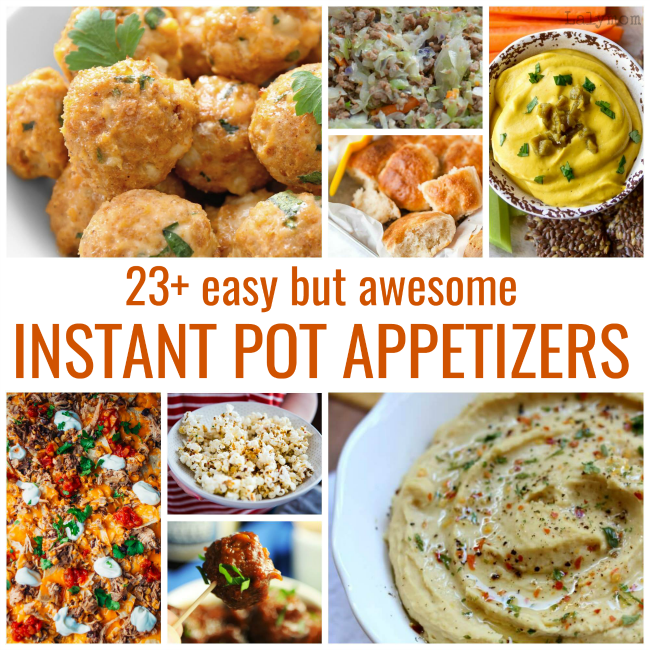 Whether you are entertaining a crowd at home, heading to a get-together or just want to add some pizzazz to tonight's dinner, check out these Easy Instant Pot Appetizers below. Your pressure cooker will make it a breeze to serve up some yumminess tonight! Appetizers are basically synonymous with comfort foods to me. I have to work pretty hard NOT to perch in front of the finger foods at any gathering- and get out there and mingle. When I'm hosting it's easy to get caught up in prepping food and making sure everyone else is taken care of. That is actually one of the best reasons to use your Instant Pot for party food. 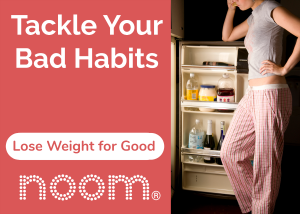 You let the pressure cooker do all the work while you visit and catch up with friends and family. Below you'll find Instant Pot appetizers that range from meatballs and sliders to vegetarian appetizers like hummus and lettuce wraps. Scroll through and you'll be sure to find one you love! Simple Instant Pot Lunches for the ENTIRE week! Oh yeah baby, appetizers at your fingertips! This section has all the meat, poultry and egg options for Pressure Cooker Appetizers. Click through the links below for the full recipes. 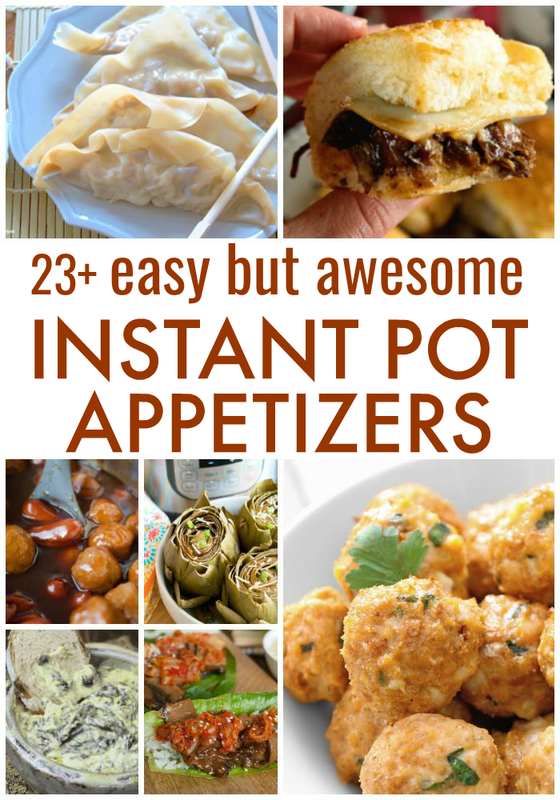 If you or your guests are vegan or vegetarian, look no further, here are some awesome but easy instant pot appetizers for you! Click through the links below for the full recipe. AM I MISSING YOUR FAVORITE INSTANT POT APPETIZER RECIPE? HELP A SISTER OUT AND LET'S HEAR IT IN THE COMMENTS BELOW! 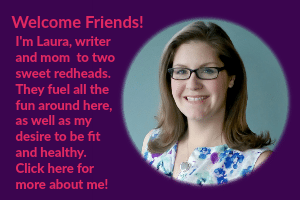 Previous Post: « Want a FREE Fitbit, Wireless Scale and Meal Planning?